Sig Sauer outfitted its 4-12x40 WHISKEY3 Riflescope with quality anti-reflection coated optics and a QuadPlex reticle. The optical elements are crafted from Low-Dispersion (LD) glass to provide true color and to maximize resolution of images. Coated with the SpectraCoat full multi-coatings, the lenses offer high transmission throughout the entire visible spectrum, delivering bright and crisp images. To ensure that the image quality is not degraded by external environmental conditions and elements, the optics are protected by the LensArmor coatings against abrasions and scratching. 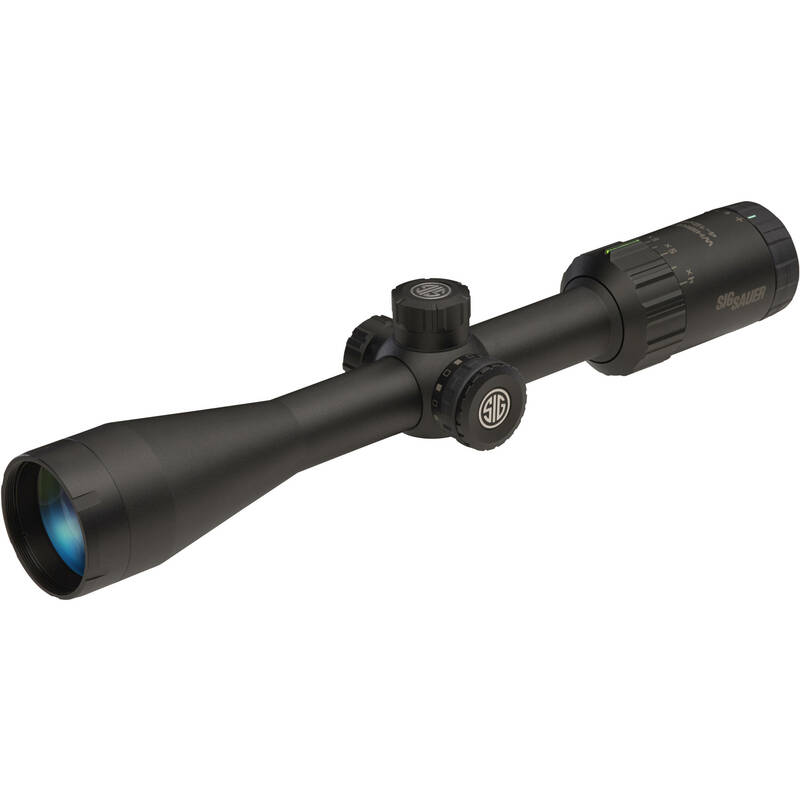 A definite highlight of this riflescope is its QuadPlex reticle, which is located in the 2nd focal plane and features four medium posts with a fine crosshair.